A Sunny Space is a place for sharing stories, sparking conversation and spreading ideas. We are an online platform and documentary series that profiles bold, inspiring women who are following their dreams and shining light in the world. We hope these women and their stories inspire, motivate and encourage you to create your own Sunny Space. IT WAS A FOURTH GRADE CLASS TRIP to LA’s NBC4 studios hosted by legendary Weatherman Fritz Coleman that the young, impressionable Crystal Egger first became captivated by the possibilities for a girl that loved science and nature. Crystal grew up in Grand Terrace, California surrounded by a loving family and a tight circle of friends who she still calls some of her closest from the 909. In her Junior year of High School she traveled abroad to Sweden as an exchange student and was fortunate to see all corners of the country as her host family embarked on a summer vacation in their motor home. She knew she was destined for a life of travel and adventure. From her humble beginnings she was first in her family to go to college and attend the University of California, Santa Barbara to study Communication. Upon graduation she went to work at the San Diego World Trade Center in Marketing but soon felt a desire for something more adventurous and closer to her passion for nature and the environment. The encouragement of a friend led her to enroll in the TV/Radio Program at San Diego City College and Crystal went on to receive her certification in Broadcast Meteorology from Mississippi State University. While working internships and building her credentials she landed her first meteorology job in Idaho Falls, ID where she learned the ropes of weather broadcasting, reporting, writing and producing her own outdoor features. From there she moved up to a bigger market at FOX Denver where her career really started to take off but would also experience a life changing event. Pregnant with her first child, Crystal ran into complications and had to be taken off the morning show in Denver and immediately put on bed rest. Every single day in the hospital was a milestone as she hoped to bring her baby closer to full term. Ultimately, she would deliver her daughter at 27 weeks, weighing just 1lb 14oz. Crystal and her husband would then embark on a long, emotional and humbling 3-month journey with their daughter in the NICU, followed by 10 months on oxygen. Amazingly, she beat all the odds and forever changed Crystal’s outlook on life. Living with hope and a grateful heart every moment of every day. Crystal eventually moved on to Atlanta where they could raise her daughter at sea level and take her career to the national stage at The Weather Channel, filling in periodically on NBC’s Today Show. Although the success at The Weather Channel and NBC was exciting, her thirst for something new and to be closer to family led her back to Los Angeles as morning meteorologist at NBC4. Ironically working alongside Fritz Coleman who she had “met” some 25 years ago as a 10-year-old on a class field trip. Crystal’s NBC-LA experience was bittersweet. She was working with her mentor, living closer to family and also part of an exceptional weather team that won several Emmy and Golden Mike Awards. She also enjoyed her work in the community for the March of Dimes and the STEM Education Program, inspiring young girls pursuing careers in Science, Technology, Engineering and Math. But this accomplished, brave woman wanted something different. Crystal, the perpetual seeker of adventure and change, took the biggest leap of faith yet in the Spring of 2017 and in true meteorological fashion began searching to create her own Sunny Space. No more 2am wake calls and driving to work in the dark, no more 24 hour news cycle, no more missing her two young girls most pivotal moments growing up. She left her successful career in her hometown market of LA and moved with her husband and two daughters to San Diego, California to pursue her next dream. A Sunny Space was born. A place of empowerment, optimism, and light.  A Sunny Space is an original documentary series that profiles inspiring, bold women who are following their dreams and shining light in the world. Each episode will feature a different woman and goes in depth on their passions, their personality and their story. A Sunny Space. Create your own.